Employing and acquiring skills in user interfaces beyond the traditional Desktop. Getting to know various technologies to solve problems in this field. To be able to understand and apply principles in design and evaluation according to HCI fundamentals for future mobile applications. 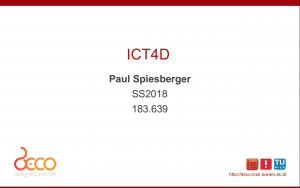 In my guest lecture I will give a broad overview of what ICT4D is and where it originates. I will illustrate some ICT4D projects in the field and also focus on past failed projects to show the misperception of ICT4D. Followed then by a presentation of our ICT4DMZ project and my experience form India, since both projects were implemented in cooperation with INSO and DECO, the hosting research groups. Another new project of ICT4D.at has already started officially and will be running for a while now. “Strengthening universities’ capacities for improved access, use and application of ICT for social development and economic growth in Mozambique“. The project is funded by the APPEAR-program of the Austrian Development Agency and we’re very happy about that! It officially started this July and will go on for two years until June 2014. This proposed project is designed to strengthen capacity and infrastructure at the partner institution, the Department of Mathematics and Informatics of the Eduardo Mondlane University (UEM), while Vienna University of Technology (TUW) in Austria will provide specialist competency as a research partner in this effort. The not-for-profit organisation ICT4D.at will support as a subcontractor of TUW. The expected results are a higher quality of education offered by the department of Mathematics and Informatics at UEM and a strengthening of the research capacities to produce research outputs of relevance to the Mozambique strategic economic sectors for rural development and poverty reduction. The improvement of the information technology programmes and infrastructure, coupled with a sustainable research partnership between UEM and TUW, is the main development goal to be achieved by the establishment of this project, so that the practical results can be made sustainable for the process of teaching, research and contribution to the Mozambican private sector, civil sector and economy as a whole. It’s an ambitious project and we have a motivated project team with Prof. Mosse, Prof. Shindyapin and Ms. Mara from UEM, Prof. Grechenig and Paul Pöltner from TUW and ICT4D.at members Joanna Knueppel, Isabella Wagner, Margarete Grimus, Fritz Grabo and myself, Florian Sturm. We’ll start a project blog shortly where we will post updates and preliminary results of the project. When it’s ready we’ll make an announcement here. Of course we’ll also cross-post relevant content on this blog. 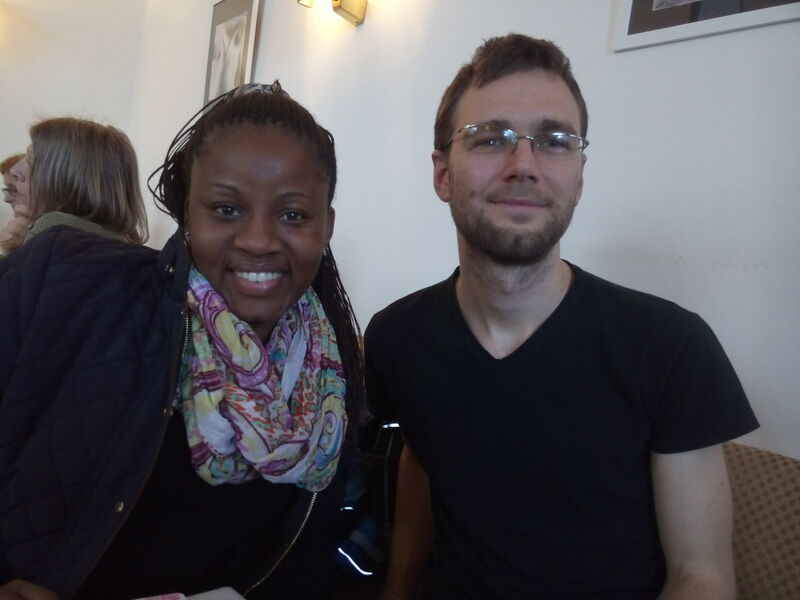 Right now we are mainly planning the first visits to Mozambique – Isabella Wagner will write the first main report on the spot and later, together with Paul Pöltner and Prof. Grechenig and UEM officials there will be the first big in-person meeting in Maputo. We’re excited that this project – our biggest so far – has started now and we’re looking forward to a fruitful partnership with UEM and TUW! Hopefully our contribution will help UEM to make better use of the countries ICT capacity and let the people of Mozambique benefit. If you know about any initiatives in Mozambique and especially around Maputo making use of ICT please let us know – either in the comments, on Twitter or write us a mail. Thanks!